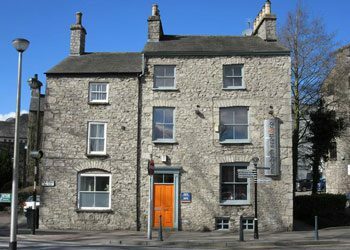 RentGuardian is based in Kendal, the gateway to The Lake District and has been established for over 40 years. We specialise in insurance and concentrate on service value to our clients. We handle all of your work personally so you will never be redirected to a call centre. Instead you can deal directly with our friendly, professional team who will be more than happy to guide you through each stage of the insurance process. We have been operating in the private rentals sector since 2010 and have a wide experience for direct and introduced business, providing the private rentals market with a one stop solution for all it’s needs. We have researched the market and negotiated with several top insurers so we may provide quality solutions to lettings agents, tenants and landlords alike. To this end we can now offer Rental Guarantee Insurance and Landlord’s Legal Expenses from DAS, specialist Buildings and Contents cover for Landlords from Liverpool Victoria, and Contents Cover for tenants. We also have departments that handle more complex risks. These products offer additional cover options not available in the standard insurance market and at very competitive premiums. We welcome queries big or small – go ahead, give us a call.